This past year, we had the privilege of escorting a group of clients on a 12-day cruise aboard the Crystal Symphony, sailing from the port of Dover in England and ending in Lisbon, Portugal. One of the reasons why we chose this itinerary was not only because of the attractive cruise fares for this particular journey or the allure of the ship’s luxury quality, but because one of Crystal Symphony’s ports of call was going to be Honfleur. Honfluer is located in northern France’s Normandy region and is about a 2 hour bus ride from the beaches that were stormed by Allied Forces during World War II. Many of our clients traveling with us on this cruise were former military, so as a personalized addition to the sailing, we decided to organize a private tour of the beaches of Normandy, including Point du Hoc and Omaha Beach. But more on this exceptional experience in a separate blog because it deserves that much. 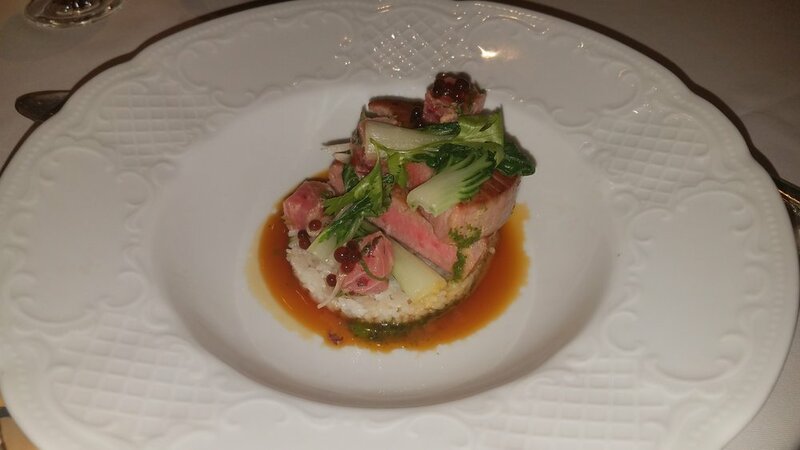 What I want to talk about here is the meat of our journey during which we spent most of our leisure time - on board the Crystal Symphony. When we arrived at the Port of Dover following our 3-night stay in London, the resplendent Crystal Symphony welcomed our group with comity, efficiency and precision. It was indeed emblematic of Crystal’s commitment to excellence in all facets of the cruise experience, when at the moment you came onboard, cruise staffers welcome you as if they are welcoming you to their own home. Embarkation was seamless and took a total of 15 minutes and while our staterooms rooms were not quite ready, guests were invited to have lunch in the main dining room. And so quickly began our baptism into the elite aura that is Crystal Cruises as servers swiftly poured champagne and handed us impressive lunch menus. A refreshing and flavorful seafood salad, followed by a perfectly cooked and well-seasoned filet of beef coupled with a glass of red wine set the standard for my palate. 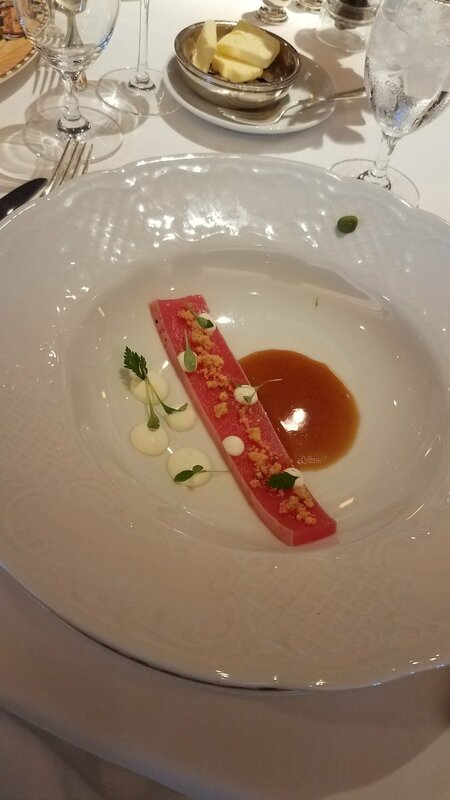 Our clients and my colleagues were equally well-nourished, as I glanced over at the surrounding tables and watched them embrace the first bites of a cuisine to die for. It was a sumptuous beginning for those both new and experienced to the Crystal brand. 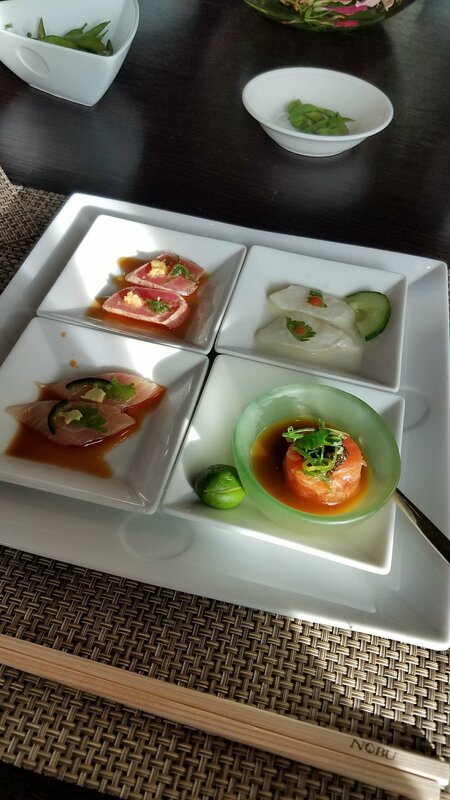 The stage was set for our 12-day cruise, least of which included Crystal’s culinary experience as time and time again (and I cannot emphasize this more) everything we ordered was done right. That made every meal, breakfast, lunch, after-lunch snack, pre-dinner snack and, of course, dinner the moments we all looked forward too. 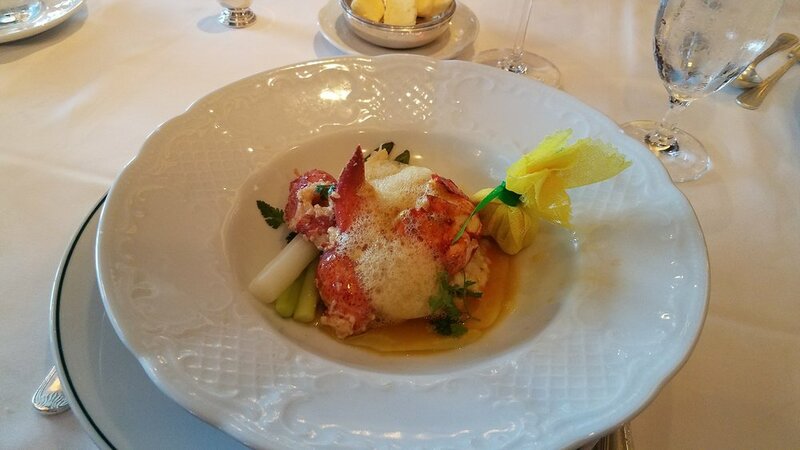 But Crystal’s excellence isn’t just limited to its exceptional food. It’s focus on all of the luxurious essentials, from its simplistic elegant design touches to the staff’s incredible memory of guests’ drink preferences, is truly all accounted for. While the Crystal Symphony doesn’t boast all of the exciting entertainment amenities that the more mass-market cruise lines bank on, the Crystal experience is versed in the simple yet substantial pleasures of luxury. For example, as a guest with Crystal, you’ll notice that the only time the crew makes an announcement over the shipwide intercom, it is only reserved for the required emergency drill and brief morning updates. Even then, you’ll find that the voice of the captain or the cruise director does not penetrate into the confines of guests’ staterooms. Indeed, Crystal takes its guests’ privacy very seriously. Perhaps the greatest value of all when sailing aboard a Crystal ship is gauged by it’s all-inclusive concept. It is simply unmatched in the premium marketplace and covers all of your on-board amenities minus spa products. That means gratuities for housekeeping, bar, dining and Penthouse butler staff; Fine wines, champagne and premium spirits; In-stateroom select beer, wine, and spirits upon request; City center transportation complimentary (in most ports); Specialty coffees including cappuccinos, lattes, and espresso; and Specialty restaurant(s) Nobu Matsuhisa’s Silk Road & The Sushi Bar, and Prego. And now, Crystal guest will have access to free unlimited WiFi throughout the duration of their journey. One of the few things you do have to pay extra for are the Crystal shore excursions, at least when you sail aboard their ocean liners. Moderately priced, Crystal’s shore excursions are well done and do a fine job of taking you to places off the beaten path. My cabin mate and I signed up for a shore excursion outside of our previously arranged private tours with Cruises and Beyond. 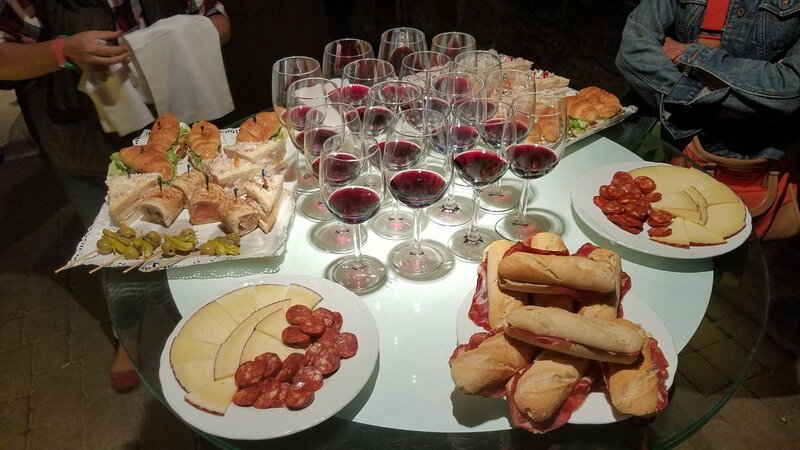 The excursion was a full day’s worth of wine tasting and mouth-watering pintxos pairings (basque country word for Tapas) in the famous Rioja region of northwest Spain. With experience in mind, Crystal organized visits to two different wineries, one large and one small; one that made their wines in a rather industrialized manner and one that still incorporated the traditional feet grape pressing method. I’m a young soul who has experienced his fair share of cruise brands (more so than others my age), but not enough to say I’m a cruise expert. Even so, Crystal imparts a particular experience that leaves you more than satisfied with the hospitality they provide. You’re not left yearning for greater service but instead yearning for another opportunity to sail with Crystal. The great news is, Crystal is in the midst of massively expanding their luxury product, with the recent completion of Crystal Symphony’s multi-million dollar update and the introduction of four brand new Rhine Class river vessels making their debuts this year. 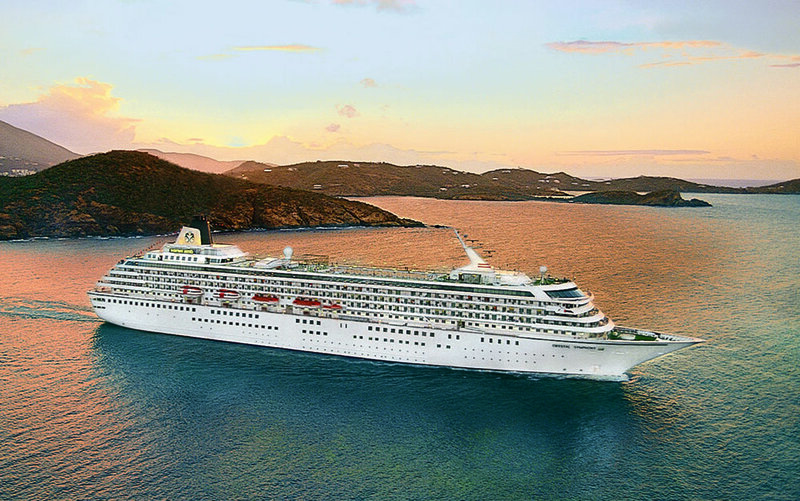 Crystal will finish off their incredible 2017-2018 expansion with an update to their largest ship, the Crystal Serenity. There are ample itineraries to choose from when you book Crystal and many more that offer tremendous value for the price. For those who haven’t cruised with Crystal yet, do yourself and the cruise industry a favor by trying Crystal at least once. You’ll witness the pinnacle of the cruise industry, and quite frankly, what cruising, at its core, should be all about. For those who have experienced the Crystal brand, the greatness of Crystal is really just blossoming as it brings its premium experience to more and more markets. Crystal Cruises is hosting their Crystal Clear Choices promotional event until March 31, 2018. Take advantage of savings options and choose between fare reductions, airfare credit, or shipboard credit on select sailings. View details by clicking below.